This tall rose arrangement includes Gerberas, Lysianthus and seasonal foliage. Large tall rose arrangement looks stunning when used in an entrance hall or aas a centre piece on a table. Ideal gift for an anniversary or just to say thank you to someone. 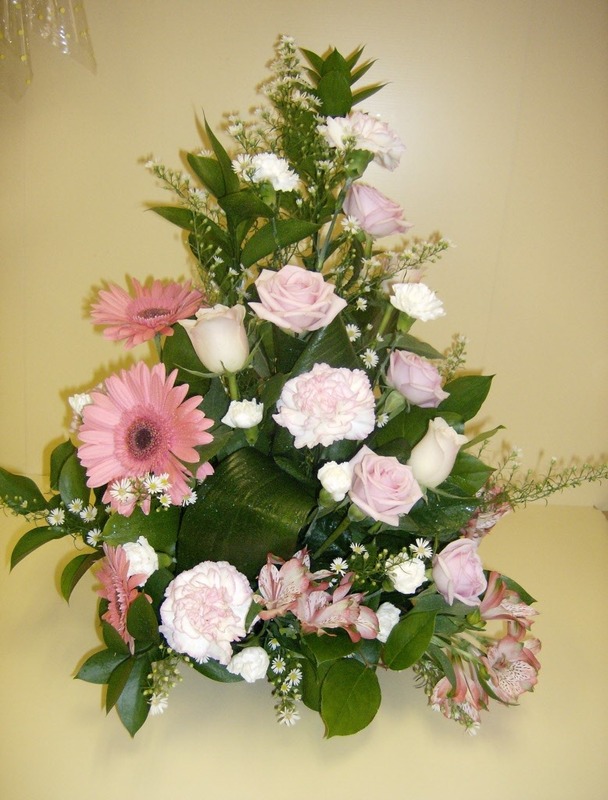 This rose and gerbera arrangement well be well admired and will make a stunning focal point in any room.